Can't decide between the eastern and western routes for your Galápagos cruise? You don’t have to choose. Ultimate Galapagos is an 18-day immersion in the Enchanted Isles, visiting every single exemplary visitor site on both our Eastern and Western cruising routes. Older, mostly the result of volcanic uplift, these islands are relatively flat, heavily eroded, and home to some spectacular birdlife, such as the world's only breeding site of Waved Albatross on Española (Hood) Island, or masses of Red-footed boobies and Great Frigatebirds on Genovesa (Tower) Island. If you're lucky, you may even see short-eared owls. You’ll also walk on one of the youngest lava flows in the Islands on Santiago Island. Younger and actively volcanic, Isabela and Fernandina Islands are sole home to the unique Flightless Cormorant. Explore unique lava flows and learn about plate tectonics and geological hot spots. Explore enormous lagoons, walk on white, red, and green beaches, snorkel in search of the elusive mola mola, and learn about Floreana Island’s colorful human history. Swim with Sea Turtles, Galápagos Penguins and sea lions, discover giant tortoises in the wild, watch hundreds of marine iguanas basking in the sun, and their much larger terrestrial cousins burrowing nests along park trails. Delight in brightly colored sally-lightfoot crabs, elusive ghost crabs skittering across sandy beaches, or mockingbirds curious about you. And on both routes you'll see the iconic Blue-footed Booby, the ultimate clown prince of the Galápagos. The Galapagos Islands lie at the intersection of several major scientific disciplines; geology, volcanology, plate tectonics, ocean currents, climate patterns, and of course, wildlife and the theory of natural selection. Experiencing both the Eastern and Western Islands in one visit provides a unique opportunity to absorb the magnitude of diversity in both the physical geology as well as wildlife found throughout the archipelago. The differences are particularly stunning when you have the ability to experience them back to back. 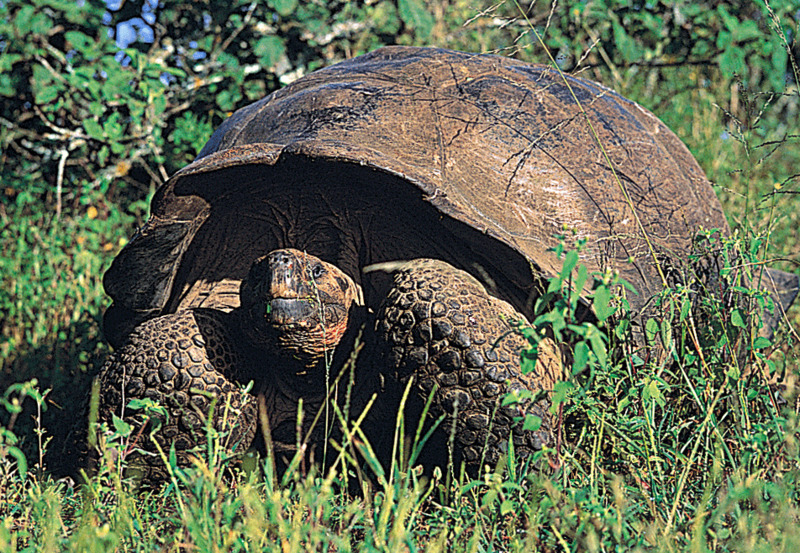 You'll leave with a far greater appreciation for the truly extraordinary nature of the Galápagos. Not only will you be rewarded with an ultimate Galapagos experience, you’ll be rewarded with appreciable savings over two one-week cruises.